DA, UDM disagree on dissolution of SABC board - SABC News - Breaking news, special reports, world, business, sport coverage of all South African current events. Africa's news leader. Four SABC board members tendered their resignations to President Cyril Ramaphosa last week. The United Democratic Movement (UDM) and the Democratic Alliance (DA) in Parliament are on the opposite sides on whether the South African Broadcasting Corporation (SABC) Board should be dissolved to appoint an interim one. UDM Chief Whip Nqabayomzi Kwankwa says best way to address the current vacuum in the board is to dissolve it and appoint an interim one. But the DA’s Phumzile van Damme says this will be disastrous for the Public Broadcaster. Four board members, John Mattisson, Khanyisile Kweyama, Krish Naidoo and Mathatha Tsedu tendered their resignations to President Cyril Ramaphosa last week. This has left the SABC Board with only four remaining non-executive members. There were already four vacancies in the board before last week’s resignations. This has left the board without a quorum. 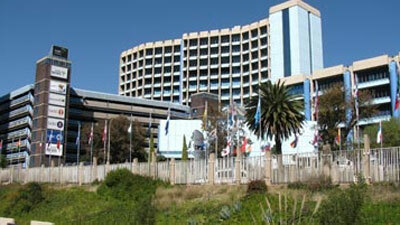 An SABC Board consists of 12 non-executive directors and three executive directors. The communications committee has already announced that the vacancies for the non-executive directors will be filled. However, Kwankwa says it will be impossible to fill the eight vacancies in the next few months. 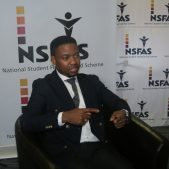 “The most logical step to take at this point in time is to dissolve the current board and to put in place an interim board that will oversee in particular the elections process in South Africa and the coverage of the elections process. And then the sixth democratic Parliament can be in a position to do nominations and interviews for permanent board members to ensure stability. But between now and May next year, there is not enough time for the current democratic Parliament to be conducting interviews and doing nominations for permanent board members,” says Kwankwa. DA Member of Parliament’s Communications Committee Phumzile Van Damme says there is enough time to conclude the process of filling the eight vacancies in the board. She says she disagrees with the UDM that the current board which does not have a quorum, should be dissolved to appoint an interim one. Parliament’s Communications Committee Chairperson Hlengiwe Mkhize could not be reached for comment. This entry was posted on 10 Dec 2018,08:52AM at 8:52 AM and is filed under Politics, News, Homepage Featured Story Slider. You can follow any responses to this entry through the RSS 2.0 feed. Both comments and pings are currently closed.